Bryce downloaded this album for us and we are really enjoying it! I smile every time Beaker chimes in the on The 12th Days of Christmas. What Christmas music are you listening to this year? New this year is Michael Buble. I have MANY in this genre, but I consistently like Christmas albums by Jewel, Sara McLachlan, and the Alley McBeal Christmas album (Vonda Sheppard? ), oh, and Charlie Brown, too! I think the worst Christmas song I have in my collection is Bocelli singing "Santa Claus is Coming to Town" with a children's chorus. It's just BAD! Great idea! We will have to get this one too. I've been doing Pandora stations - either Ella Fitzgerald Christmas or Ray Coniff Christmas...kinda boring! Haven't pulled out my Carpenter's Christmas yet. love the Muppets Christmas Carol film we watched yesterday! Sarah has been cracking up at "Dominick the Italian Christmas Donkey" by Lou Monte. I myself am still grooving on Holly Cole's "Baby It's Cold Outside". 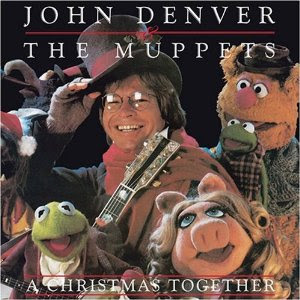 New for me this year is the Whirling Dervishes "You're a Mean One, Mr. Grinch" and Trans Siberian Orchestra's "Nutrocker"
I love this CD. Listened to it as a child and it always brought a smile to my face. I am happy you like the Apple-Man. The stick goes easily in the walnut if you put it in the top of it (there is - I call it - the seam of the walnut and it is very soft...). Dana - you and I have many similarities, but they end with Michael Buble. I can barely even watch that guy sing. Did you catch his Christmas special? Ack. It was painful. It was all I could do to fight Bryce for the remote. But on a positive note - I LOVE Charlie Brown Christmas too. We've had it for years and I haven't tired of it yet. Em - Carpenter Christmas sounds interesting. Jojo - I haven't watched the link yet, but Little Drummer Boy is one of my fav Christmas carols. Susan - Yeah, I can see how the Muppets xmas may have a short shelf life. I don't like the preachy John Denver parts. Got your xmas card today! Haute Goat - I am interested in all of your suggestions! I love the Mr. Grinch song, for sure! I'm v curious about the Nutrocker. No - Thank you a million. I'll post pics of our apple men on Monday. So cute. Dim Sum - such love for vinyl. There is nothing like the records we had as kids. We saw the Muppet movie too. Is the soundtrack good?